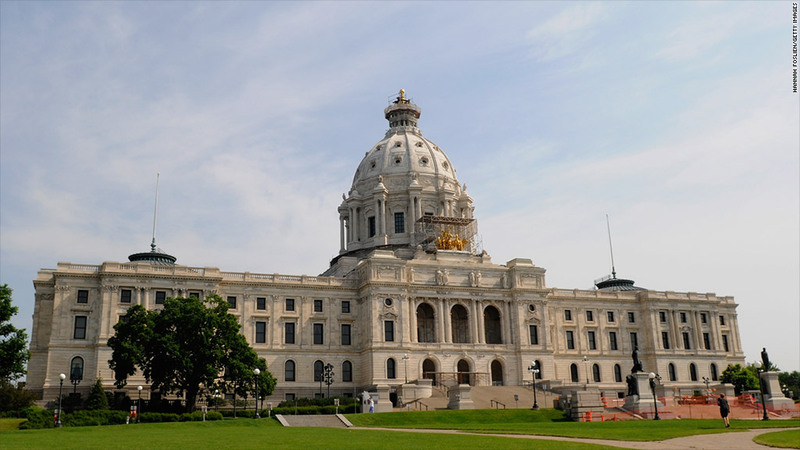 The Minnesota legislature approved a minimum wage hike Thursday. Minnesota is set to join the growing list of states raising minimum wage above the federal level. State legislators on Thursday approved the increase, which will raise the minimum wage level in phases until it reaches $9.50 in 2016 for some businesses. Lawmakers expect Gov. Mark Dayton to sign the bill into law on Monday. The bill does not bind all employers to the same minimum pay rate. Those with gross sales of at least $500,000, must pay employees at least $8 hourly in August, $9 the following August and $9.50 by August 2016. Some smaller employers who are exempt from certain federal labor laws can pay a lower rate. That will increase to $6.50 hourly in August, $7.25 the following year, and then $7.75 a year later. The minimum wage will also be set at $7.25 for workers at larger businesses if they are under the age of 18 and as a temporary training wage for those 19 and 20 years old. That rate is also the federal minimum. Beginning in 2018, the minimum wage will be tied to inflation. President Barack Obama has been pushing states, cities and counties to raise the minimum wage and commended the Minnesota legislature. "I urge Congress to follow Minnesota's lead, raise the federal minimum wage, and lift wages for 28 million Americans," he said in a prepared statement. Both Maryland and Connecticut state legislatures recently approved minimum wage hikes to $10.10.